The F&M ran 14 ½ miles from a junction with the Sandy River at Strong to Kingfield. Building started in 1884 and the line was part financed by Boston based businessmen (with interests in the Sandy River Railroad) to extract their forest holdings. In 1894, the owners of the F&M organised the Kingfield and Dead River Railroad which branched from the F&M at Kingfield to Bigelow. This branch opened in 1894 with the 9 mile extension from Kingfield to Carrabasset and finally opened the remaining 6 miles to Bigelow in 1900. The K&DR was a paper company wholly owned and operated by the F&M, and never owned any locomotives or rolling stock. The railroads merged into the Sandy River and Rangeley Lakes Railroad company in January 1908 and ceased to exist as separate entities. See entry for original #1 above for more details. The Billerica & Bedford Railroad was chartered in May 1876 with building starting the same year and finishing in the Fall of 1877. The railroad formally opened for service in November 1877. The railroad ran the 8 miles between the two towns of the title in Massachusetts. Traffic and income were poorer than expected so service was suspended on June 1 1877 and the assets sold a week later. 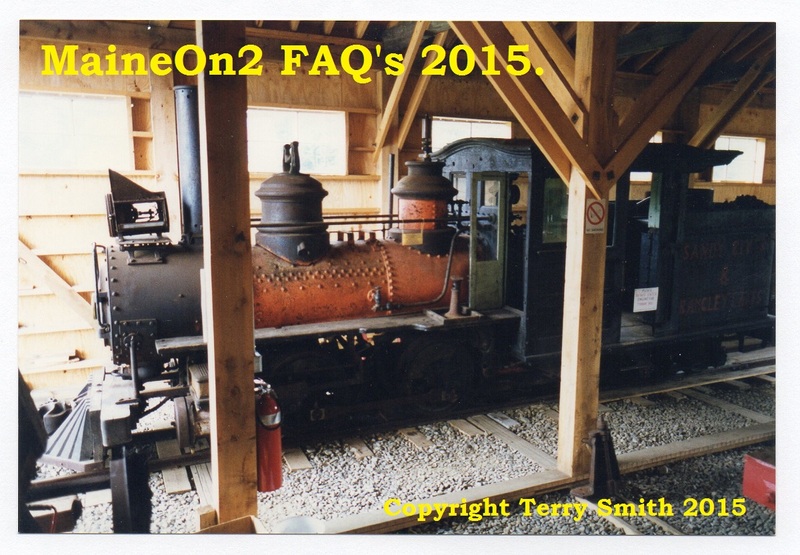 A mysterious “Mr Brown from New Hampshire” acquired the locomotives, rolling stock and rails. Sandy River #1 Dawn (1879 – 1908) rebuilt as a conventional boiler first locomotive.